Last weekend I attended the amazing "Breakthrough to Success" three-day seminar with Christopher Howard in Dublin. I heard he was a master in hypnosis and NLP which are my fields of interest but I was not prepared for such a significant result. I made two major personal breakthroughs and shared the experience of seeing transformation in others. We worked on values, limiting decisions, negative beliefs and so much more. We enjoyed three days of fun, fast-paced and revolutionary education which is light years ahead in relation to the personal development programs of the past. Chris calls it the "fifth generation of personal development". Now it is your turn to impact your life at Chris's incredible seminar with FREE guest tickets. … right then and there AT the seminar. It's exciting! That's right. FREE. Normally two tickets valued at £1,790 are now yours for FREE. No catch. Simply that Chris hopes you will gain so much benefit that you will want to attend additional trainings or tell your friends. There are books and CD programs on sale at the event but there is absolutely no obligation to buy and you will gain enormous benefit from attending this seminar, irrespective of whether you decide to invest in further programs with him as I have done. Personally I have enrolled for his full Fast Track Program to gain the benefit of Master NLP Certification, Training skills and challenging seminars in all areas of my life. This weekend can bring you the breakthrough you have been looking for, whether in career, finances, relationships or health. I thought I had achieved significant work in seminars in the past until I attended this one in Dublin. You may not know me but I hope you will trust me on this and just go. Donald Trump said, "90% of success begins with just showing up". If you want to attend the seminar in London (14-16 March) or Dublin (17-19 October), please make your travel arrangements through my EuroTravel site. You can book Eurostar on the www.eurostar.ws/trains and ferries page, compare flights from over 75 companies on www.eurostar.ws/flights by clicking on Wegolo and book your hotels on www.eurostar.ws/hotels. I saved €260 by booking my Dublin hotel (Mount Herbert) through GTA Hotels. There are also seminars in US, Australia and NZ. I understand over 8,500 people have enrolled for London so can you imagine the energy and opportunities for networking? The Secret and Law of Attraction . P.S. Please forward this message to anyone you think will benefit. It is totally their choice whether they attend and it will definitely have a positive impact on their life. I have discovered a very useful source of download hypnosis scripts, either for use in self-hypnosis or for hypnotherapists facing a new subject to treat. 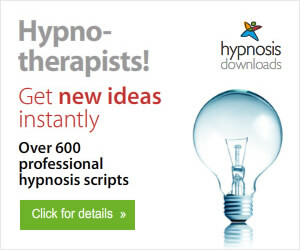 Hypnotic World offer a monthly subscription with access to over 600 download hypnosis scripts covering a wide range of subjects. You can either download a one-off script for $4.99 or a monthly subscription with access to the full library for only $12.99. They can even write a tailor made hypnosis script for you. Tremendous value and a very useful resource. 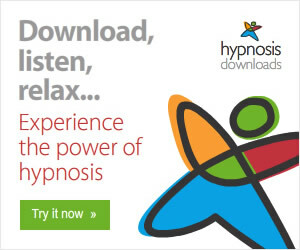 Hypnotic World offers download hypnosis Mp3 eg Golf Improvement for just $9.99. A. Yes - if for any reason you're not satisfied with our service you can cancel your subscription and you will not be billed for any future payments. Almost two thousand people are enjoying their subscription to Hypnotic World.